This is the Sunwarrior – Warrior Blend, Raw, Plant-Based Protein Powder Michelle used. I am 53 (almost 54) 5 feet tall, and currently weigh 122 (my high school graduation weight). I was diagnosed with Celiac about 6 years ago, have HPT, fibromyalgia, and Hashimotos. I have not had a period in 9 months, so it seems I have almost completed menopause. I have done 5-6 rounds of HCG over the past 5 years. Overall, I have lost more than 50 lbs. and went from a size 14 to a size 4. This past round began in March. I did 40 days and lost 23 lbs. This is the first time I made it to 40 days (past rounds I got very sick of the diet and gave up after 30-35 days). I have easily maintained my weight loss for 2 months now. I have struggled with my weight my entire life (or at least that is my perception). In college I gained the “freshman 15” which was really more like 30. I have gained and lost weight over and over again. I gained 45 lbs when I was pregnant with my first child, and did not lose it all before gaining another 35 with my second child. At my highest weight, I was almost 180 lbs. I tried weight Watchers, medifast, counting calories; OverEaters Anonymous, fad diets, excessive exercise, and anything else I thought might work to lose the weight. My mother was diagnosed with Chronic Fatigue Syndrome and Fibromyalgia and became bed ridden at the age of 48. She lived for 15 years being bed bound, depressed and taking massive amounts of OxyContin for the pain. When I was diagnosed with Fibromyalgia about 10 years ago, I got very scared. I saw where I could end up and I did not want that for myself. I was a single mother with two boys- I had to be there for them! I had a couple of bad flares where I could not lift dishes off the counter, had debilitating headaches, and even rashes. I would make it to work most days, but suffered in pain a lot and had no energy for my children. I was depressed and scared. I found a Naturopath who did a complete work up on me, modified my medications, and found supplements to help. At this point (about 7-8 years ago), I took anti-anxiety meds, high blood pressure, and then was diagnosed with Hashimotos. Then, Celiac. Since giving up gluten and getting on medication for my thyroid, many of my illnesses have gone away. I no longer have migraines, blood pressure s normal, have not had a Fibromyalgia flare in 5 years. Every year on my Birthday I hike the second highest mountain in VT- because I can! I used injections for all round of HCG. In this round I began at .125 (125 iu) and raised it to .15 (150 iu) after the first three weeks or so, only going up to .175 (175 iu) for the last few days. I was never hungry, my energy was always good. In this round, I lost weight every day except for 2. I am very faithful with the food plan and did not feel compelled to cheat once. I loaded for 2 days, focusing on healthy fats. As I do not eat gluten anyway, it is no problem for me to stay away form carbs. In this round there were many days I did not eat all of my food. I did make a point to eat the protein.Sometimes I would spread the food out over the course of the afternoon….2 GF crackers for a snack, apple in the afternoon, etc. I love that I don’t have to worry about salt when doing the vlcd portion of the diet. I love dill pickles wrapped in roast beef, 2 hard boiled eggs with salt and pepper, and anything dipped in mustard! I spent time this round actually cooking P2 chili, “dirty” rice, chicken soup, etc. Having flavorful foods, things with spices and little kick to them really helped me not get sick of the diet. Plain chicken breasts get old. To make it easier with my hectic work schedule I would cook 2-3 days of meat on the George Foreman and have them ready to go. I gave up cream in my coffee and have not gone back! I am now a black coffee drinker! and if I felt nervous, anxious or bored (which can be triggers to eat) I would go for a quick walk, chew a piece of gum, put hand cream on, etc. Funny one- my alcohol tolerance is very, very low now. I cannot have more than one drink without waking up with a headache! I have always been an “ISH” person. I hate counting calories and use to believe “everything in moderation”. I don’t think that anymore. Since I already had the gluten free thing under my belt I have now expanded that mindset to other foods that are not good FOR ME. I have not eaten sugar at all (expect in fruit). Before this round of HCG I was very achy and had a lot of headaches. Once I detoxed from sugar, the arthritis symptoms went away and I feel terrific! I am making much more conscious choices about what to put in my body. I don’t worry about calories but listen to my hunger scale. It still surprises me when I push my plate away with food on it- even 2-3 bites…when I am done, I am done. YES!!! And this helps me maintain! Physically I feel SO different- blood pressure is down, energy is higher and more stable, no headaches, body aches, less fuzzy brain. I easily walk 5 miles and pop out of bed in the morning instead of rolling and grunting. Ice coffee with ½ and stevia. I do not indulge at parties. Recently I “treated” myself to a rotisserie chicken from the grocery store that was seasoned. I got SO sick from the preservatives in it that it was a good reminder to stay away from anything you don’t know what is in it. Again, I have been gluten free for so long, I cope with it well. At my office we celebrate birthdays. We have had several recently and I watch everyone else eat. If there are berries, I will eat a few of those. Sometimes I feel like I stick out and get embarrassed about being different but in the end, I realize it is what I need to do to stay healthy! We had a pizza party the other day and a coworker got a GF/dairy free pizza just for me. I really didn’t want to eat it because I was newly in P3 but felt obligated. I had one piece, which settled fine, but did not want any more. The notion of “I can’t”. This is true for everything in life- if you think it is too hard, then it will be. One has to “psych” themselves up to ‘I can do anything for X days’. You need to be in the right headspace for success. You have to be ready to give up your old life, way of thinking. Food is FUEL. It can heal you or harm you, depending on how you use it. HCG can be a permanent solution, not just a tool to lose the same 10 lbs over and over again (as it was for me). It is a way to see results fast but more importantly to detox your body and get back to a baseline from which you can experiment and see what your body likes and doesn’t like. It is an opportunity to focus on you. Listen, feel, get healthy and stay healthy. Rayzel’s Note: Michelle purchased P3tolife and ended up using it more for inspiration, support and ideas, but followed her own method for actual eating during P3, which is fine! I just wanted to clarify that. She mentions increasing P2 foods in Phase 3, and this totally something you can choose to do as well. The P3tolife program however is not designed this way and provides a lot of variety in food and flavor right off the bat and women do stabilize fantastic as well when following this! I just wanted to be sure there is no confusion over what you would be getting if you purchase the P3tolife program, and also, it’s just nice to know we have choices depending on what sounds more appealing or safest for our own particular bodies. What were your biggest concerns when contemplating going into P3? Regaining the weight, as I have in the past. If you were to explain to an hCGer in just a few sentences why the P3 program has been valuable to you, what would you tell them? I enjoy the P3tolife community. It has helped me stay focused and given me the next level of information and support. I really enjoy the recipes. What did the P3 program provide to you that you feel like you didn’t have before without it in past Phase 3s? A place to go to keep a good P3 in the forefront of my mind. The success stories, some people with similar situations, gave me ideas. 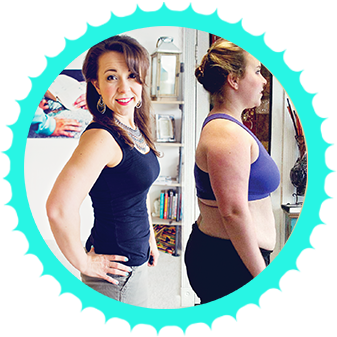 How did you end up following the program – did you do the original plan, the simplified, or build your own meal plan or just tweaks to one of these? Can you give a few details of how you utilized the program and tailored it to yourself and your circumstances? I began my P3 by eating P2 foods, just more of them. I really, really slowly added more calories and more variety. I never added more than 1 or 2 new foods per day and really paid attention to how my body felt and how my weight fluctuated the next day. I found that dairy and nuts were not my friends…..especially in the first few weeks. In addition, I used intermittent fasting to keep my weight in the two pound range. In the 7 weeks since ending P2 my weight has settled 2 pounds less than LDW. It has been relatively easy to maintain that. Did you have to do any correction days during P3 this time and if so, what do you think was the cause and how did your correction day(s) go? I have had to do a few “unofficial” correction days, fasting until dinner, eating only P2 foods. I believe eating nuts and dairy too soon were the cause of the weight gain, as well as, too much exercise, too soon. Can you share your tangible results from following the P3tolife program? – how your weight has been, while following the P3 program? The P3tolife program has given me another tool for my toolbox. Being able to hear Rayzel’s voice and encouragement, a new recipe to try, listening to interviews kept me motivated. I read Weightloss Apocalypse and have a better understanding about the science of how my body works and to really internalize the hunger scale. Can you share a little about your personal life- ie work full time/part time, kids or hubby or school? Would love to hear how you made the logistics work of cooking the program with whatever time constraints you deal with. How did you manage to fit in preparing the meals with your schedule each week? I work 55-60 hours per week between two jobs. I live with my partner who has been very supportive (and sometimes frustrated) with my journey. He used P2 as a reason to eat take out Chinese and lots of bread. As I reintroduced foods, I did more cooking with mixed reviews from my boyfriend. I typically cook on Sundays, a couple of meals for the week. With such a busy schedule it is difficult for me to cook a fresh dinner every night. I made sure I had some “staples” around, chocolate delight, hard boiled eggs, protein powder for smoothies, apples, tuna, frozen berries. I have to pack lunch and dinner two days a week and ate a lot of salad. In my desk drawer I keep Quest protein bars and Kay’s protein snacks. I use to also keep raw almonds but no longer. Have you struggled on past p3’s and if so what were your struggles? Did the P3 program help address these struggles/how so? This is my first successful P3. I went back to old eating habits too quickly. I would maintain my weight loss for a few months but over time, ended up gaining it all back again. Were there any positive results from following the plan that surprised you, that you weren’t expecting? Have you learned anything new from the program? The best thing about using the P3 program has been the “tested recipes” and using the hunger scale. I also really use the intermittent fasting technique quite successfully. Any other closing thoughts that you want to share about your experience with the program, or that might help others considering whether or not to give it a try? If you follow the plan, you lose weight. To keep it off means truly feeling the results of your efforts. Feeling good feels better than eating a piece of cake. What type of hCG did you use? Injections prescribed by my Naturopath. There is a local compounding pharmacy and it was mailed to me with syringes. Note: For the rest of you who don’t live next door to Michelle 😉 you can get hCG injections or prescription pellets or drops online, from your couch, without a prior prescription from these 4 online hCG sources on my blog – they all have their own medical staff and prescribe you your hCG, the ship you your kit.